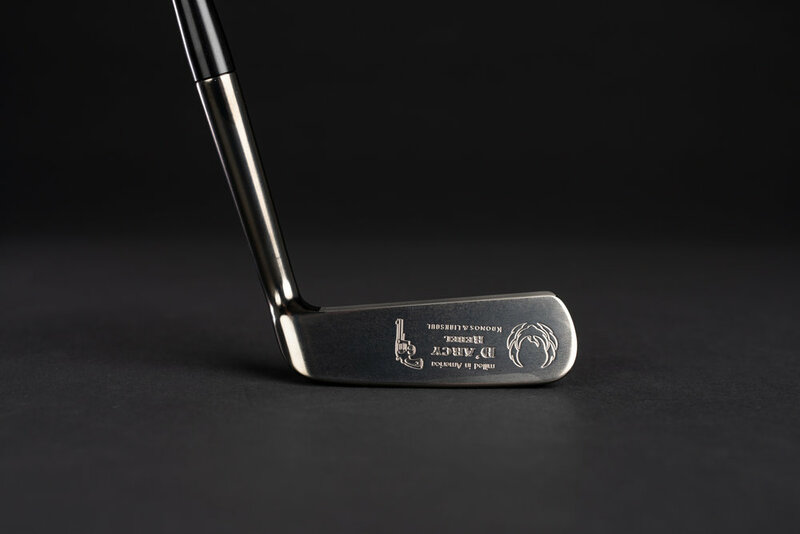 Collaborating with John Ashworth and his Linksoul company, this putter reflects our shared appreciation of golf's heritage. 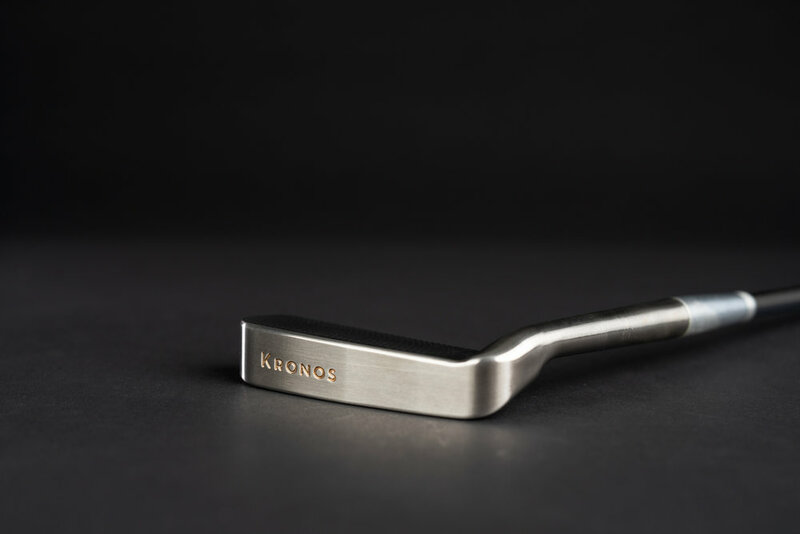 This Kronos redesign was inspired by mid-century blade putter design. More art than science, many of its features are rarely seen today such as the long neck, flangeless back, and two inch ferrule. Striving to keep its character but improve on the craftsmanship, we milled the putter from solid billet steel. Signature Compass Scored™ face, three plane sole, and sharp precision milling make this putter unmistakably a Kronos. The Refined Series putters use 11L17 carbon steel. This leaded steel is naturally a softer than stainless steel. 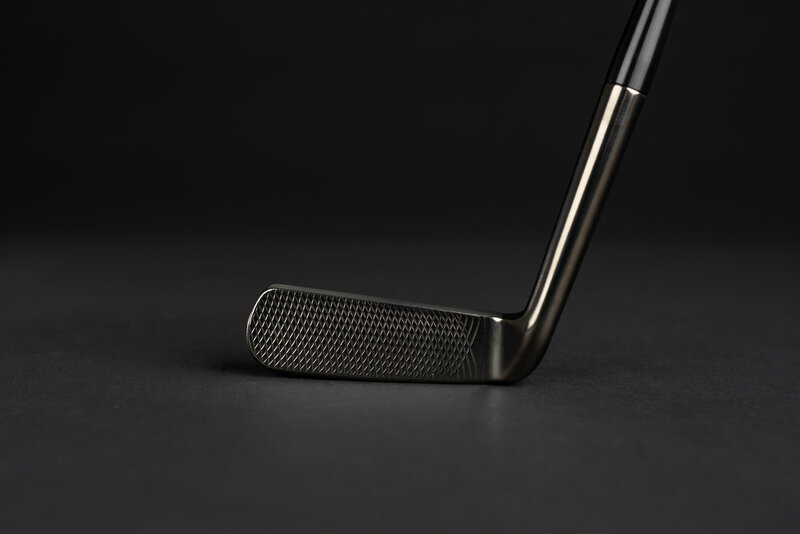 Because carbon steel rusts the club is coated with a protective layer of nickel, chrome, and PVD (Physical Vapor Deposition). The coating combination has been tested to be more rust resistant than stainless steel. The slate color PVD is a unique color to Kronos putters that highlights the fine milling. When out of stock please add yourself to the wait list by clicking the black wait list button to the right . We will notify those on the wait list before anybody else and also provide a coupon code with a discount for patiently waiting.